Custom Laser Cutting Services. Rapid Turnaround. Fast Quoting. WE CAN CUT THROUGH ANYTHING. No one in the area has more experience with laser cutting than us. We help OEMs in all types of industries to innovate and create superior products using the best laser cutting equipment out there. Laser cutting offers higher precision and the ability to cut complex shapes. Our laser cutting machines can cut thicker materials that other laser cutters simply can't. The FOM2 NT laser represents the third generation of AMADA's proven FO series that was introduced in 1999. The FOM2 combines features available on the FO series of lasers as well as some of the leading-edge technology available on AMADA's F1 linear drive systems. Equipped with a solid-cast frame, water assisted cutting, and a high-precision motion system, the FOM2 boasts new features such as automatic nozzle changer, cut process monitoring and auto-pierce detection. 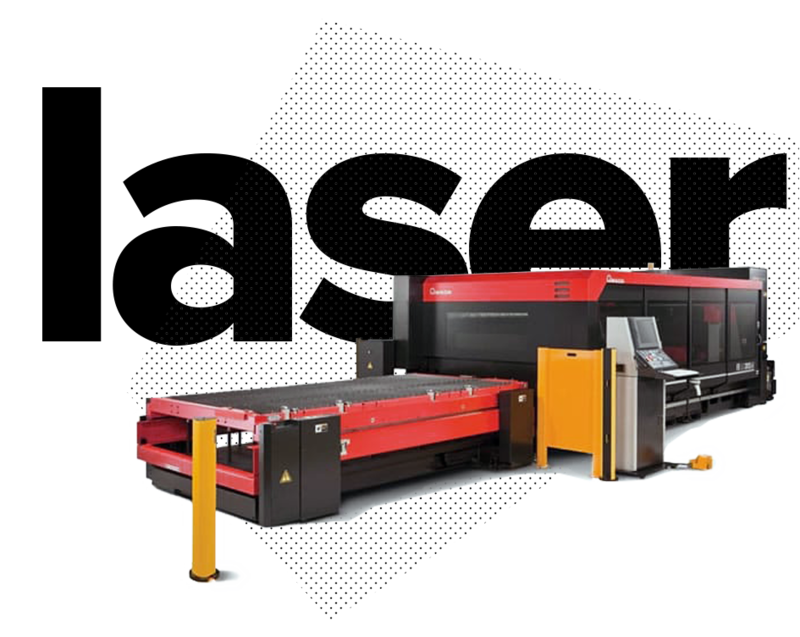 Maximum Sheet Size (One Reposition) 61" X 198"
Maximum Thickness (Mild Steel) 7/8"
The Amada Pulsar LC2415 is a hybrid design laser cutting system with a Fanuc control and resonator (oscillator). 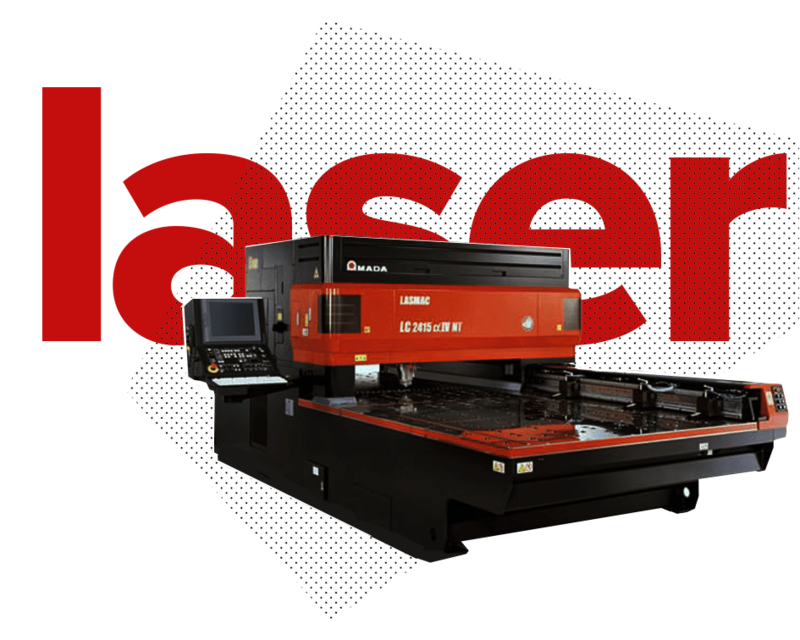 The Amada Pulsar LC laser series is known for reliability and a compact footprint without sacrificing capacity. This 1500 watt laser can cut up to 1/4" mild steel and handle a 5' x 12' sheet with one auto-repositioning cycle. Maximum Thickness (Carbon Steel) .5"
Work Chute 69" x 22"